Nokia Lumia 920 already sold out at Best Buy? Pre-orders for the Nokia Lumia 920, along with other Windows Phone 8 devices, started at Best Buy’s website yesterday but it has since been taken down. Could the device have sold out so quickly? 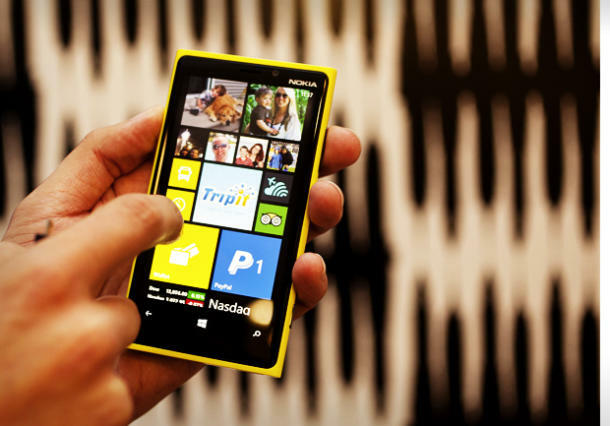 Despite being an AT&T exclusive, fans of the Nokia Lumia 920 are still eager to get their hands on the device as soon as it launches. It’s really no surprise that scouring for a way to pre-order it has lead a lot of them to Best Buy’s online store. But why did it disappear after just a day? Business Insider offers two possible reasons — Nokia and AT&T have yet to finalize pricing and release details for the device and the page was revealed too early or, and more interestingly, the Nokia Lumia 920 is in such high demand that pre-orders sold out in just a day. The second reason isn’t that impossible, if you think about it. The Nokia Lumia 920 will come with a fresh new OS and amazing camera technology that’s got a lot of smartphone enthusiasts raving about it. Couple that with a $149.99 price tag (with a two-year AT&T contract) and you’ve got yourself a hard-to-resist device. Could this be a sign of the Nokia Lumia 920’s success and the beginning of the Finnish manufacturer’s comeback to smartphone prominence? It may be too early to tell but it’s still good news for both Microsoft and Nokia that their Windows Phone 8 darling has possibly already sold out on Best Buy. Did you get to pre-order a Nokia Lumia 920 on Best Buy? Share your experience in the comments below!